I love the “Bananana” sound effect. Some people might get scared or be surprised by a huge alien. 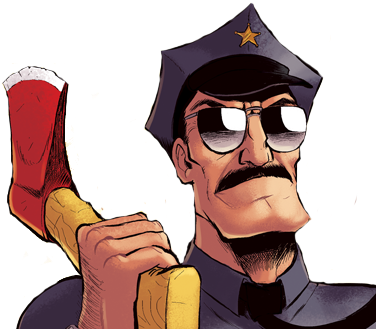 For Axe Cop, it is Tuesday. Banananananananananananananananana Super Monkey Hypno Bat Man! 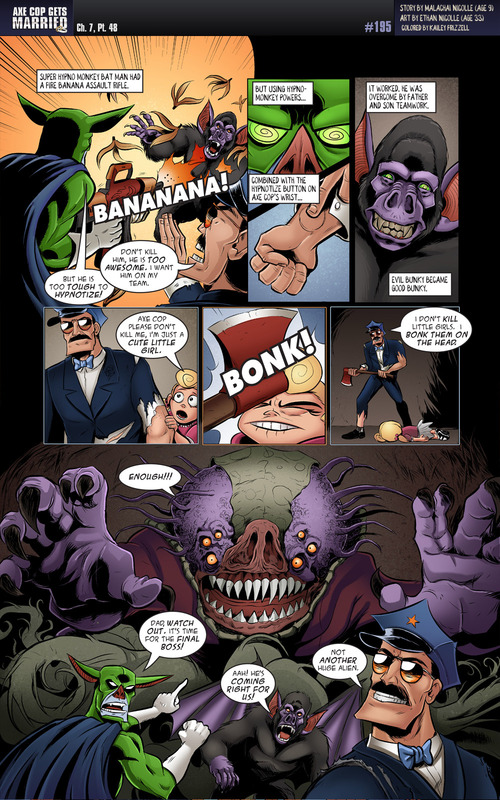 Why did Super Monkey Hypno Bat Man decide to buy a Fire Banana Assault Rifle? Is that… The final boss of the Internet? Panels 4-6 made my day! Of course he knows! He still has his evil-guy-detecting glasses on, like it said on the invitations!